Power View, in addition to GeoFlow Power Maps, has the ability to take geospatial data and graph it to view data from a different perspective. You can’t create tours and some of the features that you can in Power Maps, but you can still demonstrate performance across a geographical location relatively simply. 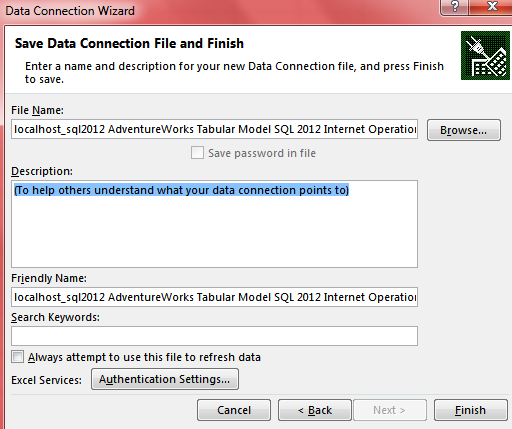 In this blog post, I’m going to take some geographical data around the Adventure Works database and graph it in Power View. Up in the ribbon, on the Design tab, the fourth icon from the left for my report is the Map icon. When I click this, Power View is going to open up a connection with Bing maps, and attempt to graph my data geographically. 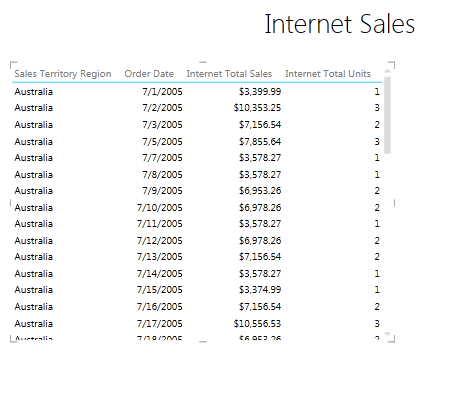 Clicking on it, I get a very simple map showing my sales amount by State or Province around the world. In summary, while not as geographically amazing as Power Maps, creating maps in Power View is an excellent way to get some quick geographical reporting and visualization for a presentation, especially if the data model has already been built and is available in a tabular database or Power Pivot. However, when giving data to Power View to give to bing, ensure that you give Power View the most accurate geographical value of the data as possible. One of the most talked about features of Power View that I always hear client’s rave about is the play axis. 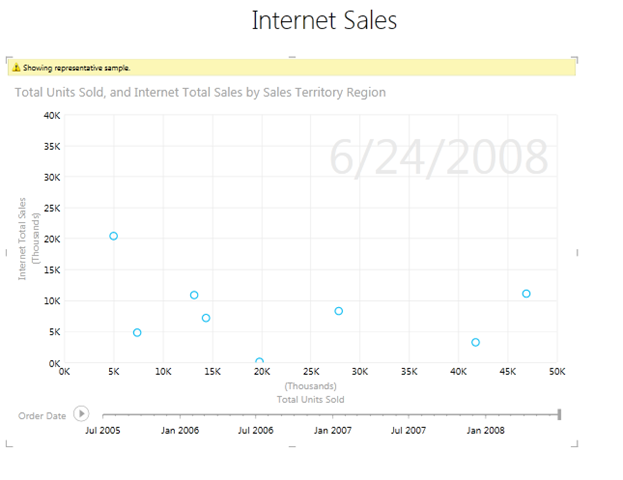 For those that aren’t familiar with it, the play axis in a Power View report allows you to make a scatter chart about some key metrics (number of sales, dollar amount, etc.) and show it’s progression over time across 3 or 4 different axes. 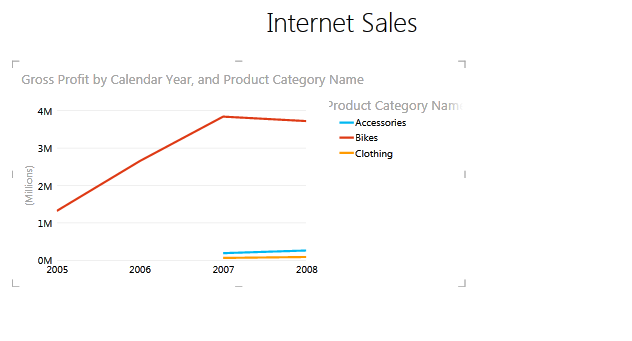 For this blog post, let’s walk through the different features of the chart, and how we can configure them. 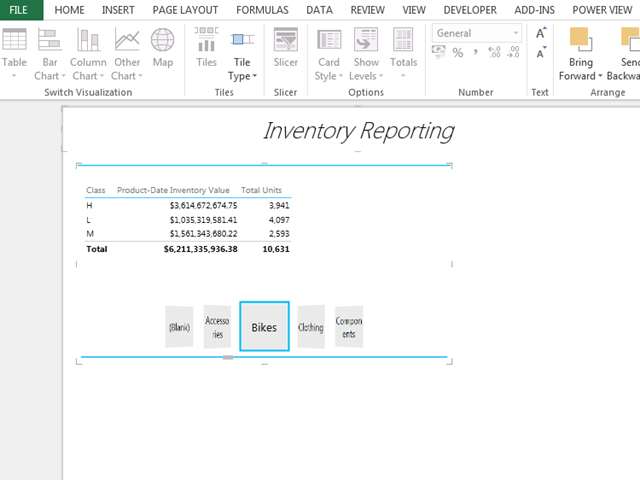 I will be using Excel 2013 Professional for this demo, but if you’re developing a Power View report in a SharePoint environment it would be identical. You can see from the picture, not very much exciting about it in its current format. Let’s change that. 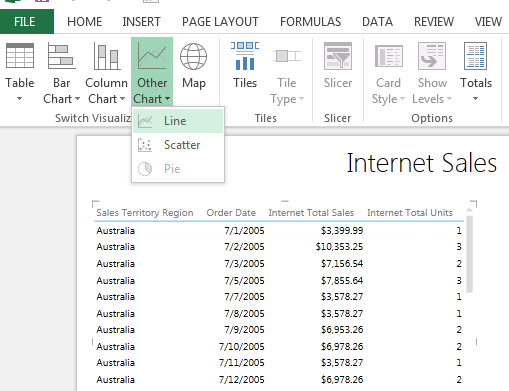 Up at the top of the page, under “Other charts”, select the scatter option to turn it into a scatter chart. 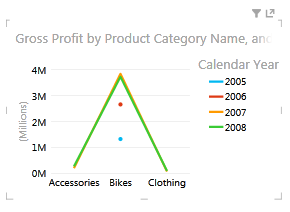 X Value: The horizontal value across the bottom of the report to generate the size of the x axis. Y value: The vertical value across the top of the report to generate the size of the y axis. Size: The size of each detail circle. 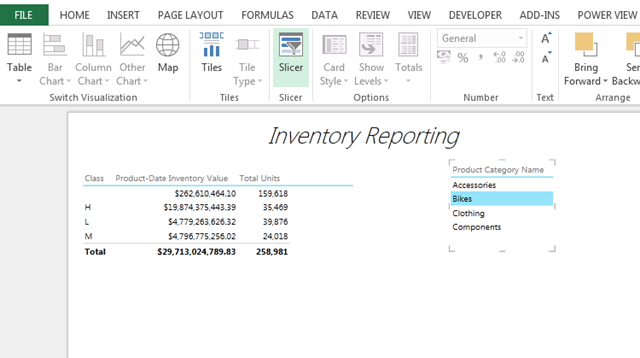 Details: Each category or attribute that you would want to see data reported on. Color: You can use this field to identify what color you want to use. 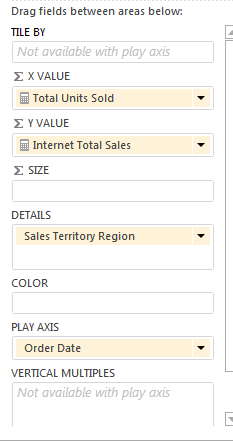 For example, you can use Product Sub Category as the details attribute and the Product Category as the color. 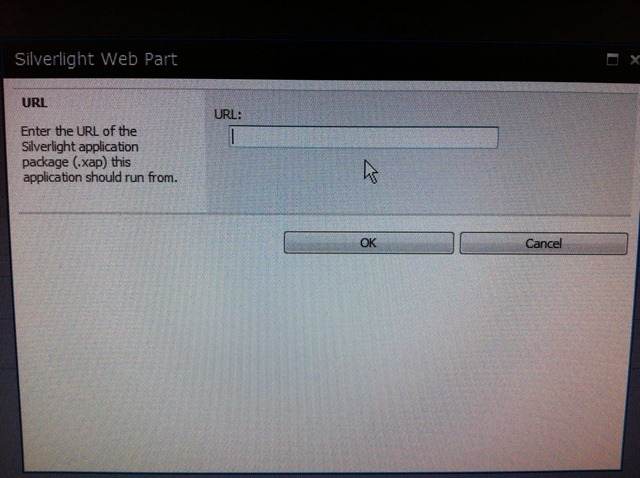 Play Axis: This is the date field that is used to configure and move the report accordingly. Once my configuration looks like the above, my resulting Power View report will look like the below. 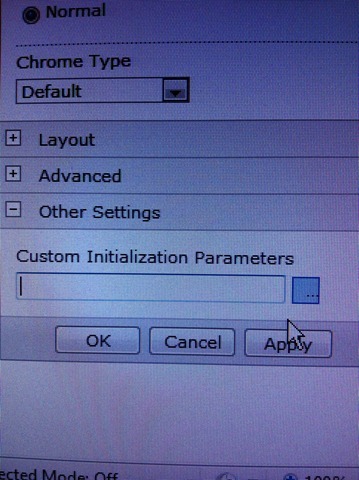 Click the play axis, and WHAMMY! One awesome report that will get the whole company talking about some data! Previously I introduced what Power View is, how to enable it, and how easy it is to create awesome visualizations in just minutes. However, Power View offers so much more in terms of functionality for what you can do with your data, from just adding slicers to creating rich, colorful tiles that can be used to visually browse your data. 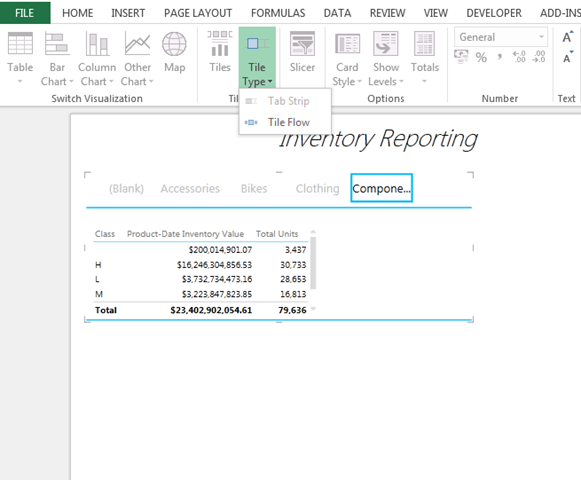 In this blog post, I intend to show how to create slicer and tiles in your own Power View reports. 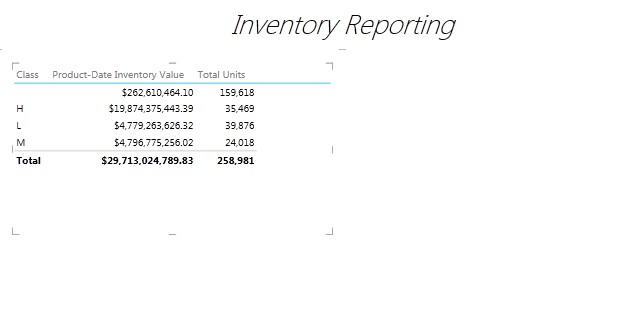 For this demo, I’m going to use the AdventureWorks tabular database demo available on codeplex, connected to the Inventory perspective. 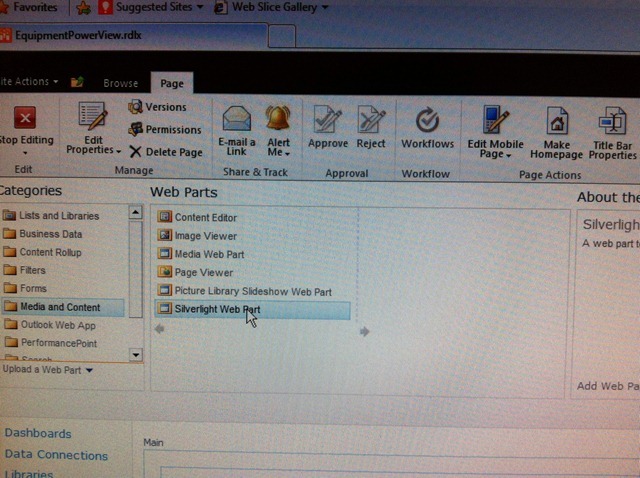 What’s nice about the tile flow option is that you get the nice same functionality that the Power Pivot Carousel gallery in SharePoint gives you, so it’s very visually appealing to browse. Sweet! In conclusion, if you want the ability to slice the entire report by a certain attribute, slicers are probably you’re better way to go, as they affect everything on the page. But if you just want the ability to change the parameter in a given “sub-report”, use tiles. 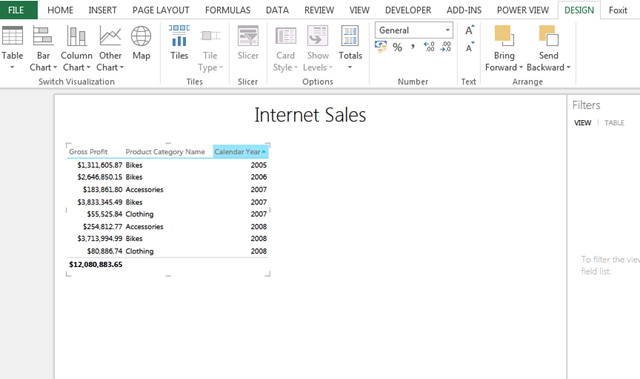 In the Microsoft Office 2013 Professional release, we have a new tool on the market that can really help to allow us to get good visualization into our data. 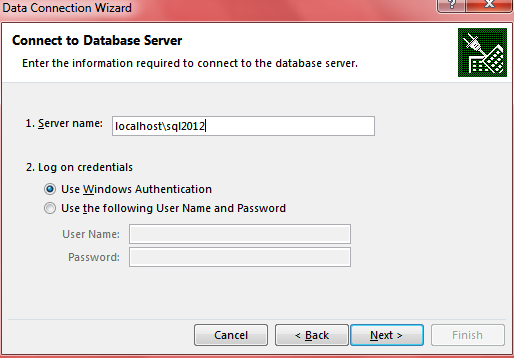 It’s called Power View, and was created by the Microsoft team responsible for SQL Server Reporting Services. I admit, I was skeptical when I first heard that, as I’m not the world’s biggest SSRS fan, but I was pleasantly surprised with how much fun it is to use. 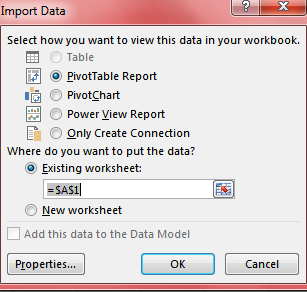 I can see using this on top of Power Pivot workbook that you use to personally analyze your data, and then use Power View to get a really cool report that you can personally use wherever and whenever you want. Now that we have Power View enabled, let’s get some data! 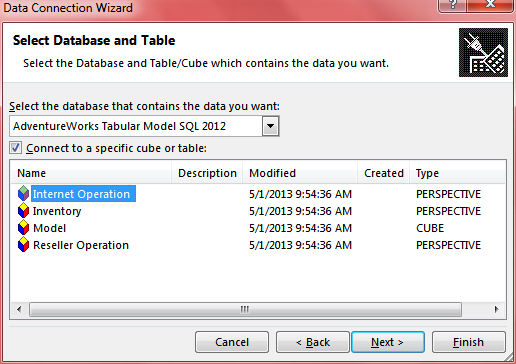 For this example, I have the Adventure Works tabular data solution deployed on my local machine. This is available on codeplex for download here. 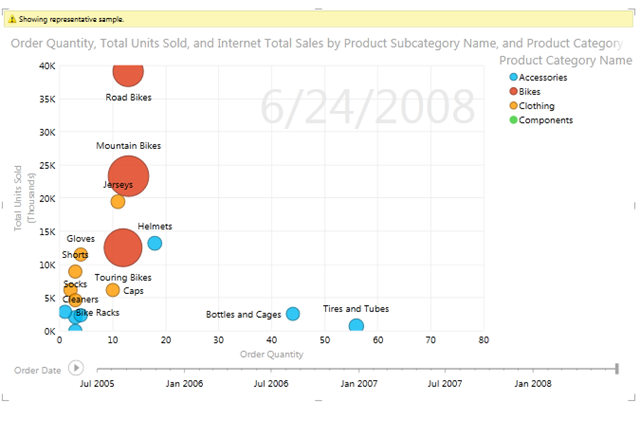 Fortunately, Power View was built with dashboards in mind, and at the top right-hand corner of the containment box there is an option called Pop-Out, which blows the small chart up to the size of the entire screen. 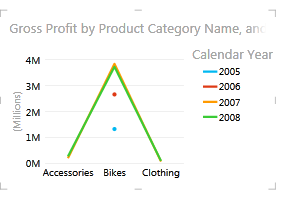 With this, we can visually see what our gross profit margin is for each Product Category by year. 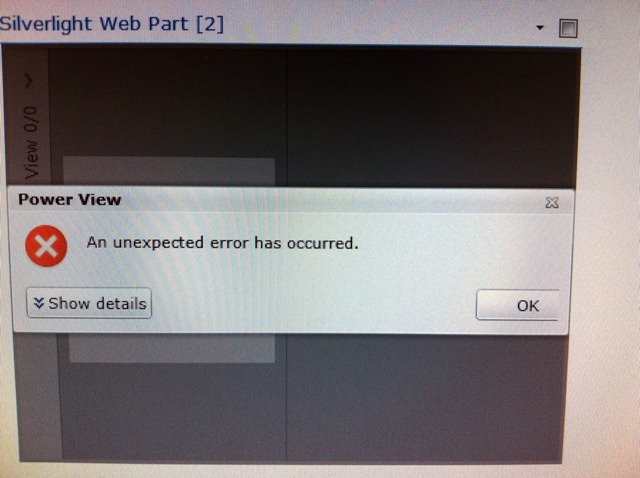 What’s more is that it only took us about 5 minutes to create this report! Cool!